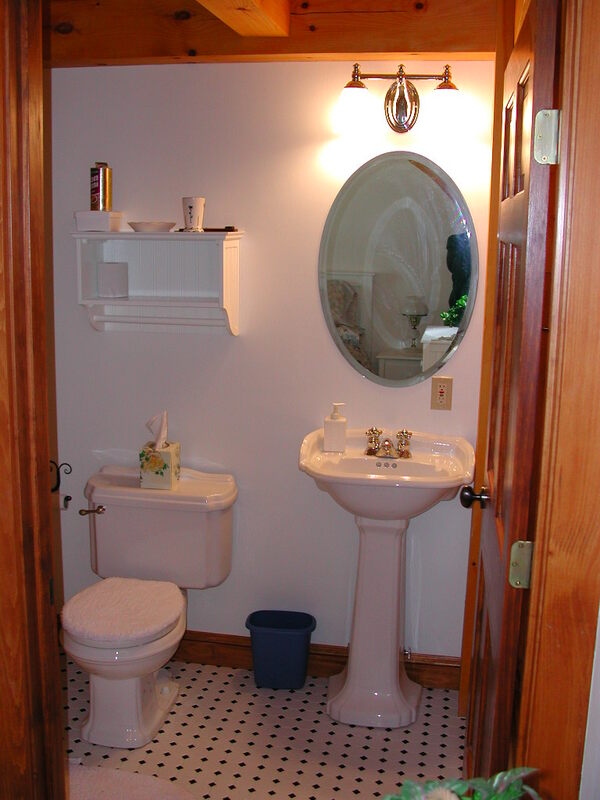 Each guest room features a private entrance and private bath. They overlook Sullivan Harbor, which is 100 feet away. A footpath leads down to the water. 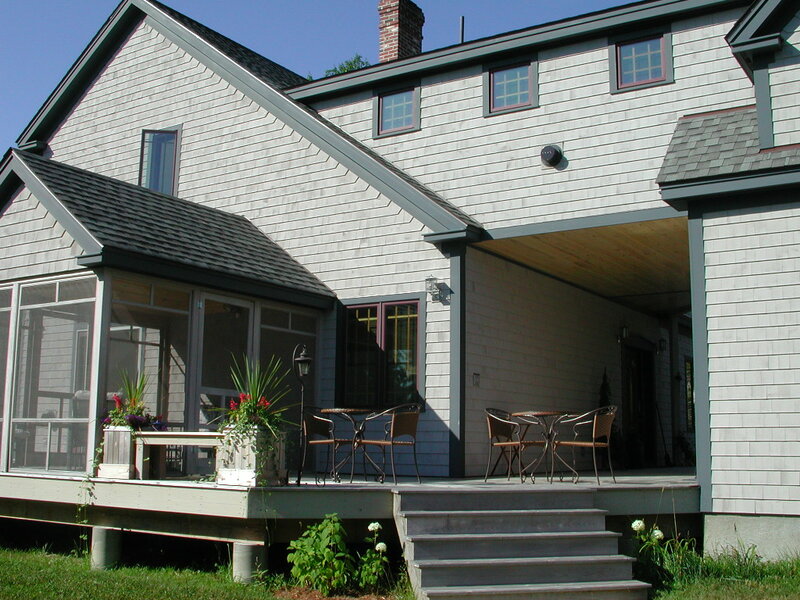 The rooms also feature wide plank pine flooring and cottage style decorating. Bicycles, a tandem kayak, and a tandem canoe are available for use. A rollaway bed is available for either room. Our rooms are smoke free. 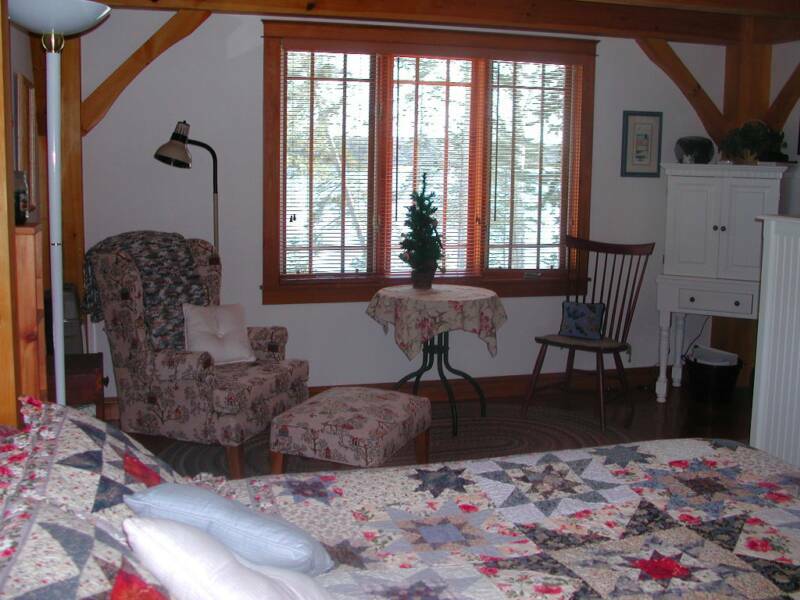 The first floor guest room features a pine timber frame, a pickled pine plank ceiling, a sitting area, and a queen sized bed. 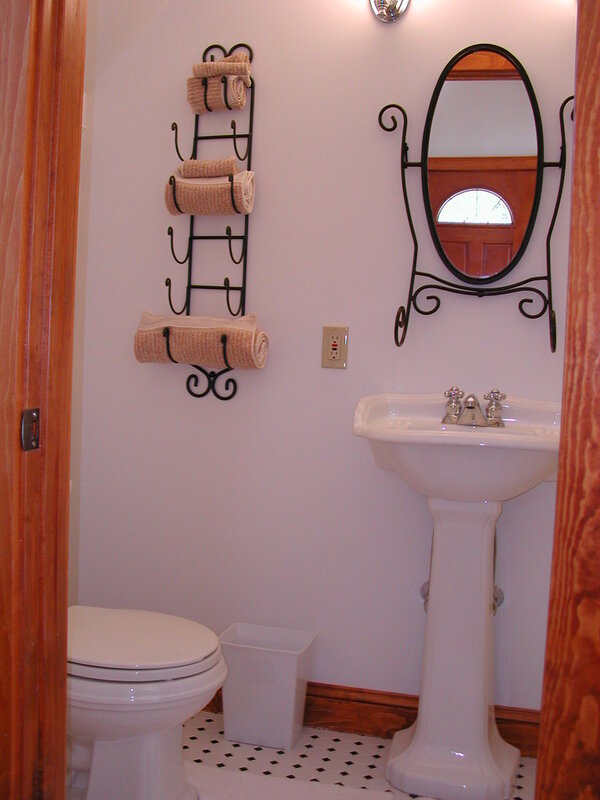 The full bath includes a tub / shower combination. 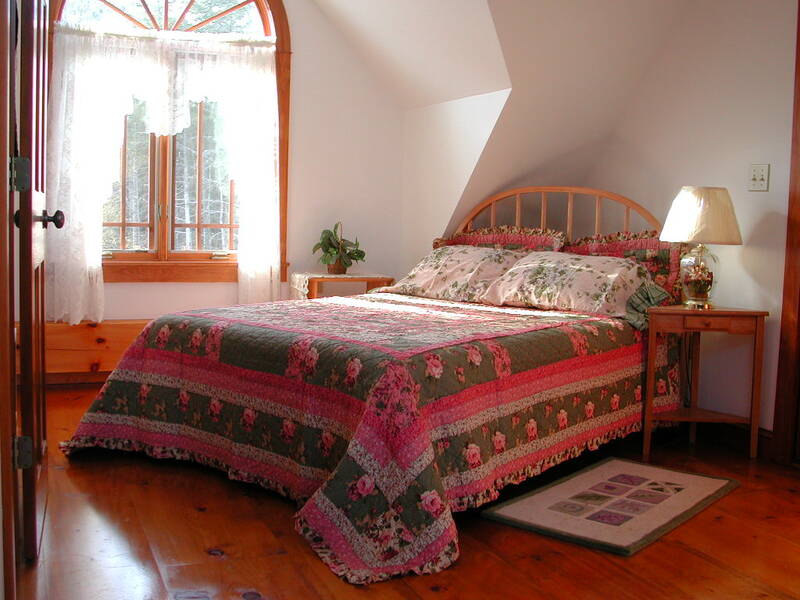 The second floor guest room features views over the water, a queen sized bed, a sitting area, and privacy. The full bath has a shower only. A complementary full breakfast is served between 7:00 a.m. and 9:00 a.m.. Breakfast may include a choice of pancakes, french toast, home baked muffins, assorted cereals, free range eggs, fruit, coffee, tea, juice, and more. 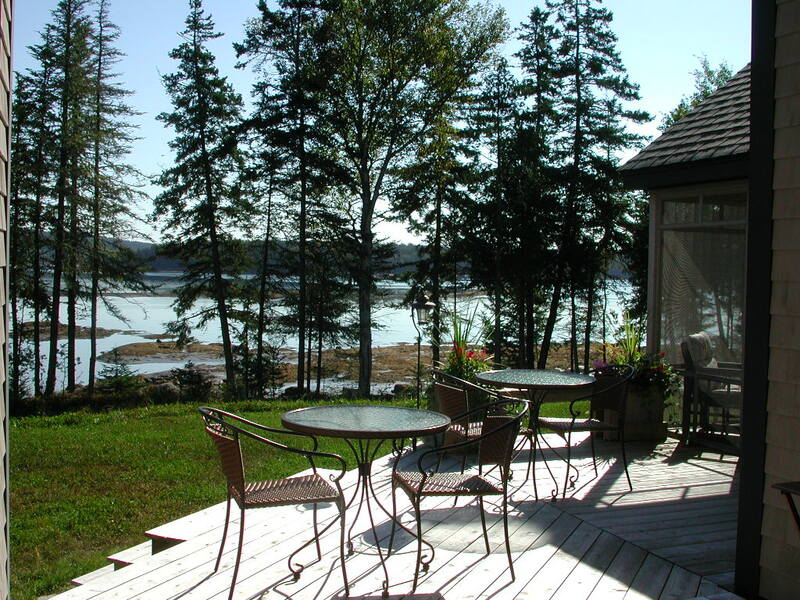 Breakfast can be served on our deck, in our dining room, the screen room, or in your room. We are vegetarians, so meat products will not be offered.